Bordered by three rivers, Madison Countys year-round fishing trail is a wonderful adventure through the Withlacoochee, Suwannee and Aucilla Rivers as well as Cherry Lake. 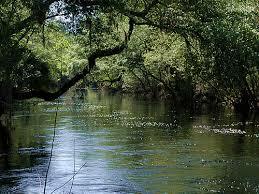 Accesses for the Withlacoochee and Suwannee are in Twin Rivers State Forest. Accesses for the Aucilla River are on Highway 90 west of Greenville and on Highway 27 south of Greenville. Cherry Lake, located off Highway 53 north of Madison, is 600 acres and is known as a bass fishing lake.